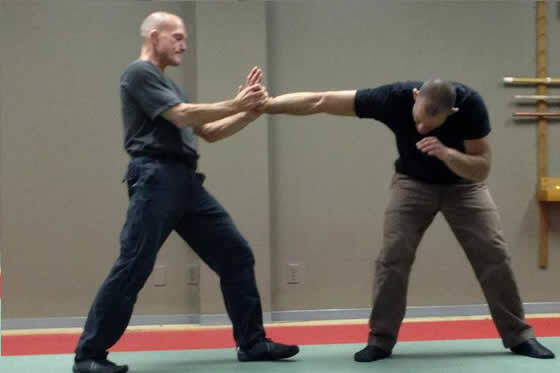 Come and learn Gracie Self-Defense from Steve Maxwell, physical educator, 5th degree black belt under Relson Gracie and trained personally by the Gracie family. 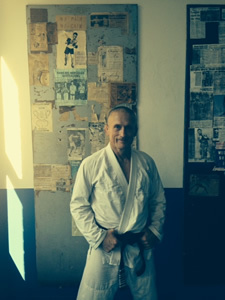 Steve is considered by the Gracies as one of the finest instructors in their art. The ground fighting is well-known and documented but few are aware of the devastating effectiveness of the Gracie stand-up self-defense fighting system... yet every fight starts from the feet. It's a well-known fact that when faced with a bigger, stronger opponent, the odds are you'll go to the ground. 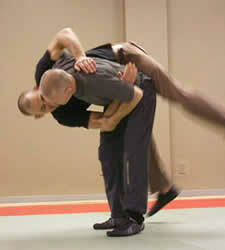 Feeling comfortable on the ground, and knowing how to fight there, can save your life.